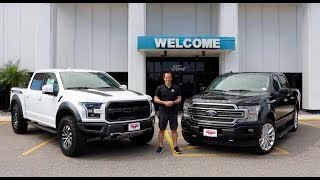 The 2019 Ford F-150 Raptor has a few changes compared to last years model. Today we show you what those differences are! 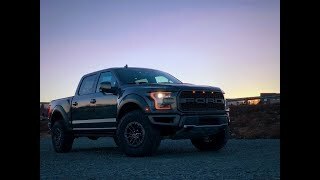 First and most important, the Ford Raptor has a new set of Fox Racing Shocks that feature the brand new Live Valve Technology. Those shocks automatically adjust the dampening based on what you are doing LIVE! 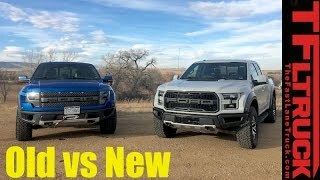 Next, you will see that the new raptor also has a few new colors such as Ford Performance Blue, and Velocity Blue! 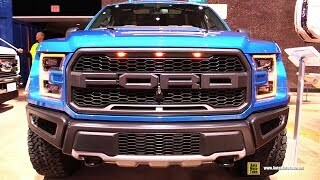 The tailgate applique is also different for 2019, featuring two different shades of Gray to make the Ford Logo stand out more. 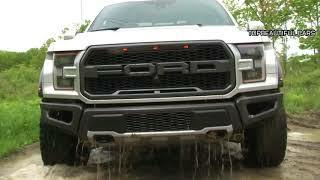 The engine is the exact same as last years Raptor but it does feature a much better looking engine cover. 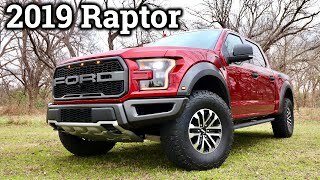 Lastly the seats on the 2019 F150 Raptor are different with cloth bolsters to hold you in the seat during hard cornering. If you are buying one in 2019 buy a 2018 new you will get a huge discount, the shocks really dont make a big difference plus most people dont use it for its intention. Thank me later! 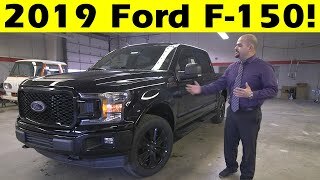 Looking at buying an 18-19 right now and this helped a ton, thanks for all of the info! 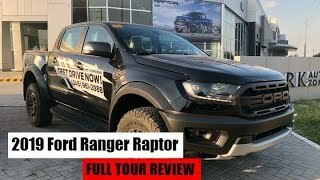 Hey Mitch, please do a review of the 2019 base raptor. It seems like a no brainer for 55k and you still get interior goodies like sync3 and apple carplay. The 2020 is supposed to have a supercharged coyote....... 700 hp. Hennessy upgrade? Is that when you swap the EcoBoost for the 5.0 engine? You did not mention 2 items: Ford Pass on the 2019s allows you to see TPMS values and you can even see them when the car is off. Also, the 2019 gauge cluster has something called "Measurements". Essentially, you can see digital readouts of engine parameters. There are a 9 values you can see: Air/fuel ration, Cylinder Head Temp, Engine Oil Pressure, Engine Oil Temp, Inlet Air Temp, Manifold Charge Temp, Trans Temp, Vacuum Boost and Voltage. Also the rear seats are different. Latches are now relocated to pull straps. 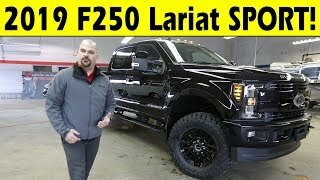 I personally wouldn’t trade in a 2018... unless there was something you didn’t like about your current truck. For instance, it’s the wrong color. This truck is the most gorgeous truck out there i was owned a hummer h2 and love it. This slightly modified the front hood and bumper came from hummer h2. 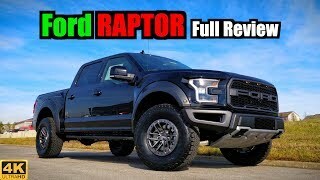 I love this ford raptor it should come with the v8 engine. 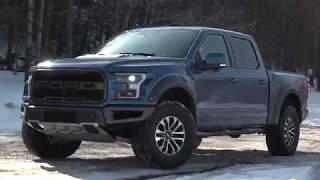 Hey Ford, how bout an option for a 427 v8? I’m building a used 2013 the way I want it cause I’ll be damned if I’m dropping that much cash on a v6. Just saying. You might want to listen to your consumers. It’s not a try. I am a gear head from way back. I talk to lots of other guys who say the same thing. 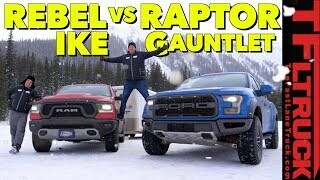 Putting a tt v6 in a raptor did in fact dissatisfy a large portion of the market for this truck. Many cars are sold with options of engine size. 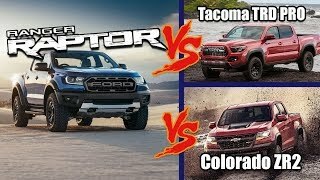 Ford would ignite their fan base if they offered a 427 or similar muscular engine in the raptor. 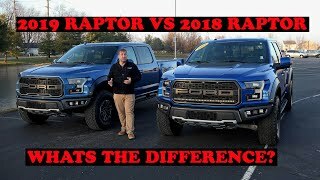 If you compared the total vehicle sales of the EB Raptors with those of the V8’s you would see the EB has outsold the V8’s in the same amount of time... Nice try though, people only have complained about the sound of a V6 but nothing about the power of the V6 nor the torque and it’s 10 speed lol. No black color option, but two reds and two blues? Thats not a wise choice. +Town and Country TV Ah, indeed. I missed that. No. We mention in the video that Agate Black is available. 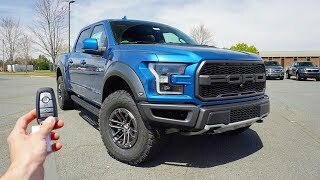 I love the look of the Raptor but the interior is too old. Dodge is more advanced. Never had any problems with a Dodge. But that is no excuse. 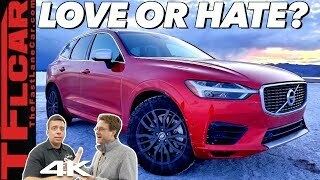 Maybe Ford can look at some German cars for the interior. Yeah but dodge has a lot of electronic problems and overall unreliable products. Ueah they look dope af but not that well made. 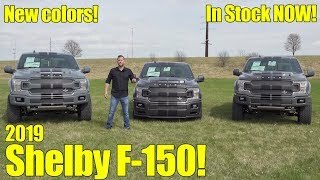 I am so glad I got my F150 (note: not a Raptor) in 18 before they got rid of Lightning Blue!! I am not a fan of the Velocity Blue at all. I love that first new wheel setup too that you showed btw. Forgot to mention that. Glad I found a dealer who had one with Recaros as the seat cushion is about an inch longer. https://www.youtube.com/watch?v=3Uj9n6VMYZ4 <--so found this video doing research, and was wondering if you guys had any other videos that promoted distracted driving? I found the original very entertaining.